Well hello there, welcome to my blog! My name is Becky and there are three different parts to me, I'll tell you a little about each one. The first one is obviously blogger Becky, that's why you're here. My blog is primarily beauty but you'll also find nail art (and anything to do with nails and nail varnish) and also a little bit of fashion and accessories. If you'd like to follow me my links are just underneath my photo on the right, or at the bottom of each post. The second part of me is Dr Becky. In January 2014 I passed my PhD in Psychology, or more specifically, Parapsychology. If you're not sure what Parapsychology is it's the study of the paranormal, so I'm an expert (not the word I would use myself but it's what my PhD means) in ghosts! The third part of me is a Supporting Artist. I was a dancer for over 20 years in Modern Disco and Latin American and now I work in TV, Film and music video's. Below are some of the places you may have spotted me without even realising. 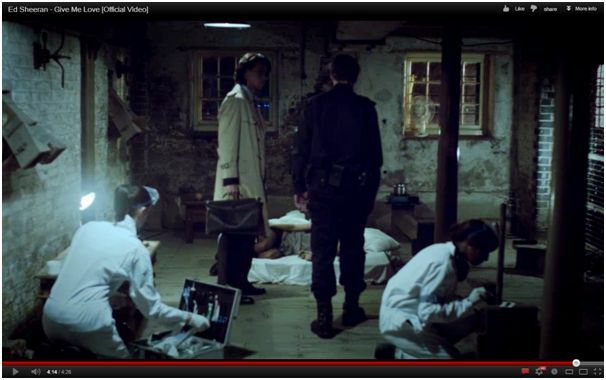 In 2014 I appeared in both series 3 of Call the midwife as a laundry worker and series 4 of Trollied as a staff member. 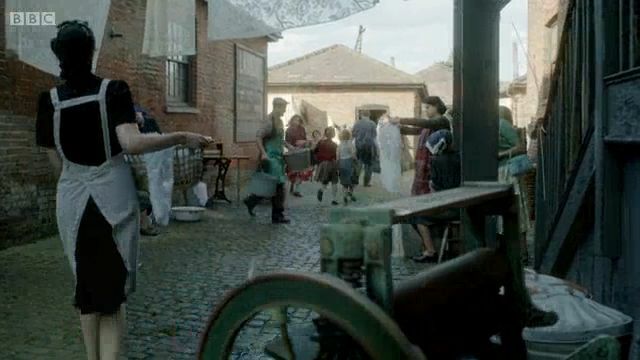 In Call the midwife I was lucky enough to appear on screen clearly three times, that's me walking away from the camera on the shot below and the scene even started on a close up of me using the mangle. 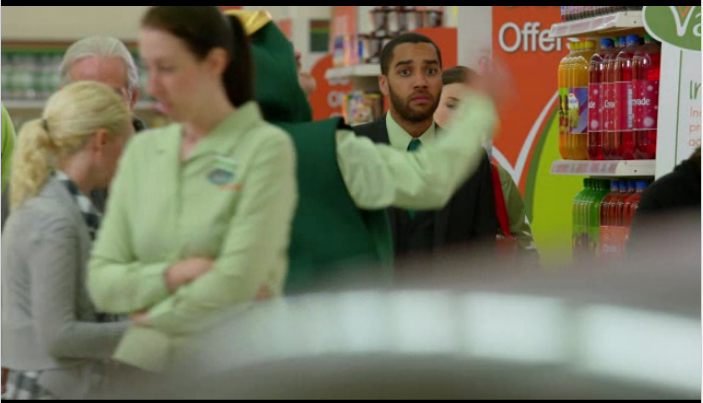 In Trollied I made several appearances across three episodes but most were a little blurry as I walked around. I'm very proud to have had a role in the film The Theory of Everything 'visiting my mum'. I also appeared in Harvey Nichols online Christmas viral for 2012 which was called 'Avoid a same dress disaster'. 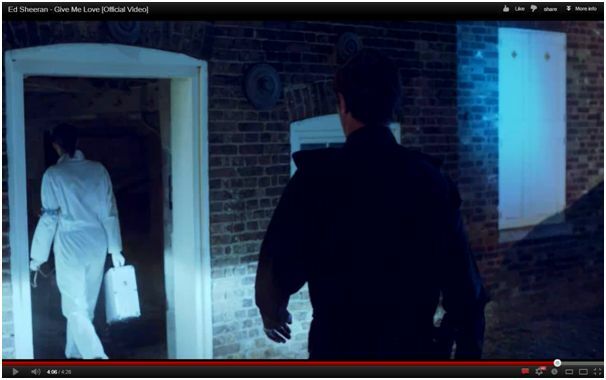 I do a post each time one of my music videos is released or when I make an appearance on TV, so look out for those.